This year’s festivities kicked off on Friday night with a concert at the Regency Ballroom by Kyary Pamyu Pamyu, whom I interviewed earlier in the week. Sadly, due to the practical realities of working in South San Francisco until 6 p.m. and the concert beginning at 7:00 – particularly during Friday rush hour — I was not able to attend. (But thank you putting me on the list, Erik!) I'm assuming that she opened with the first track from her compilation KPP BEST, which I would also like to have played whenever I enter a room. When my dear friend KrOB and I arrived at Fort Mason on Saturday morning, we were greeted by the Go-Torch Characters, as is to be expected. They're mascots hailing from different areas of Japan; last year it was the Paper Bag Fairies from Saebo, and this time around it was Akkuma from Hokkaido. Ramen Street was not present in 2015, but it was back this year, and signs were up to prevent the Ramenocapylpse from spreading into the Pavilion. There may have been no ramen beyond that point, but there was plenty of other delicious things, such the Go-Torch characters of Zombear from Otaru. And KrOB got a pimpin' solo shot with the Paper Bag Fairies. ...as well as in Saturday's opening act, Toyko Performance Domo – a supergroup consisting of Tokyo Performance Doll and Domo, obviously – leading the audience in Domobics. One of the primary missions of the J-POP SUMMIT Festival is to spread not just Japanese pop culture, but also their culture-culture, such as the famous sleeping pods, in this case Capsule Hotels by RestUp. These are new designs that aren't commercially available yet, and we both got to try one – not for sleeping, of course, but just to see how it feels ergonomically, and I gotta say, I liked it. I'm a tall drink of water, and they didn't feel as cramped as one might expect. I was told they're two meters in length, and since I was raised in California I have no idea how big that is, but I was perfectly comfortable. It didn't take KrOB much time to get comfy, either. How it looked from the inside, before they started enforcing the "no shoes" policy. Also having a strong presence this year was the Toto Washlet, the space toilet that I wrote glowingly about a few years back, declaring the single-seater on level 2F at New People to be San Francisco's best public restroom. 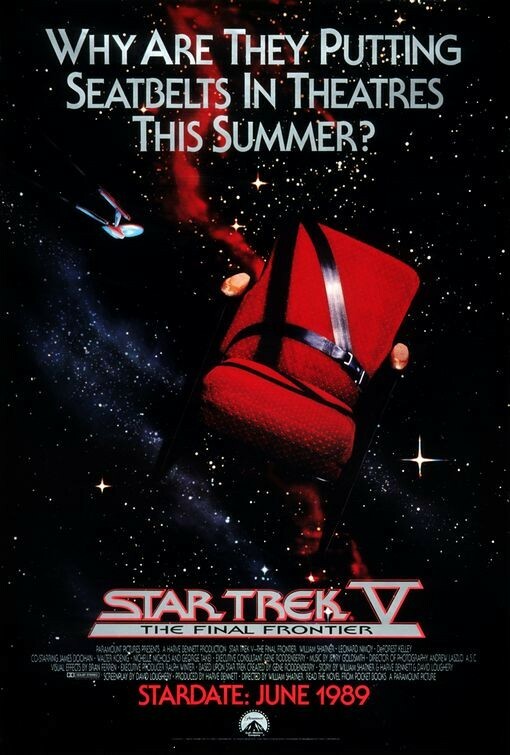 It struck me that their primary ad image resembles the original teaser poster for Star Trek V: The Final Frontier, which is not wholly inappropriate. Speaking of gastrointestinal matters, my favorite Korean food truck wasn’t present this year because they were at Spark Social SF — right, like that's a thing — so we instead had a deep-fried lunch at the JapaCurry truck. From there, we headed from Fort Mason to Japantown to catch the most exciting movie playing in the concurrent Japan Film Festival at New People Cinema: IA First Concert Live in Japan – "Party a Go Go". Created by 1st Place and pronounced [ee-uh], IA is the latest computer-generated avatar of Yamaha's Vocaloid voice synthesizer software. ("Latest" meaning her software was first released in 2012, but she's new to me, since I'm usually a few years behind the curve.) I've written before about my fondness for the most famous Vocaloid, Hatsune Miku, and I attended her concert at the Warfield earlier this year. As the title IA First Concert implies, this was not a concert but rather a film (and a fairly short one at that, only 45 minutes) of IA's first concert this past September. It was fun, but I still have mixed feelings about IA as Vocaloid. Whereas the cheerful Miku is designed to have a certain robotic-technological feeling to her — Miku's creator Kei was commissioned to draw her as an android, and some of her design elements are inspired by Yamaha keyboard models — IA is more of a standard sultry pop diva, with many costume changes and much more pixelized flesh revealed. So, as I say, mixed feelings. Also, as much as I like the burst of color surrounding the concert-related image on the right, that jellyfish-like skirt is just atrocious. On the plus side, in the concert film, she only wore that skirt at the end. Also, Toto Washlet was among the pre-show ads. In addition to the fact that I just always like to go to Japantown, I was happy to see that that the fan artists who were absent at Fort Mason were set up outside the Kinokuniya Bookstore. KrOB and I didn't return to Fort Mason after the IA movie at New People, even though I was very tempted to when I realized I'd accidentally left my water bottle outside the Festival Pavilion during lunch. Don't you hate when you do that?